The location of the new skyscraper seems almost predestined. The Messe Frankfurt trade fair and the Kap Europa Conference centre are in the immediate vicinity, as are international corporations including PwC, Reuters, Goldman Sachs, and BNP Paribas. 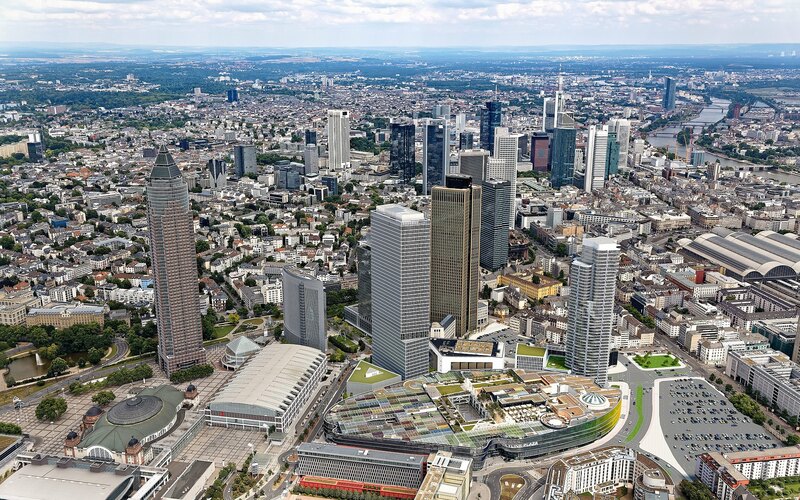 There’s also the Skyline Plaza Lifestyle Centre with over 120 shops, Frankfurt's largest roof garden, numerous restaurants and the Meridian Spa fitness/wellness oasis. 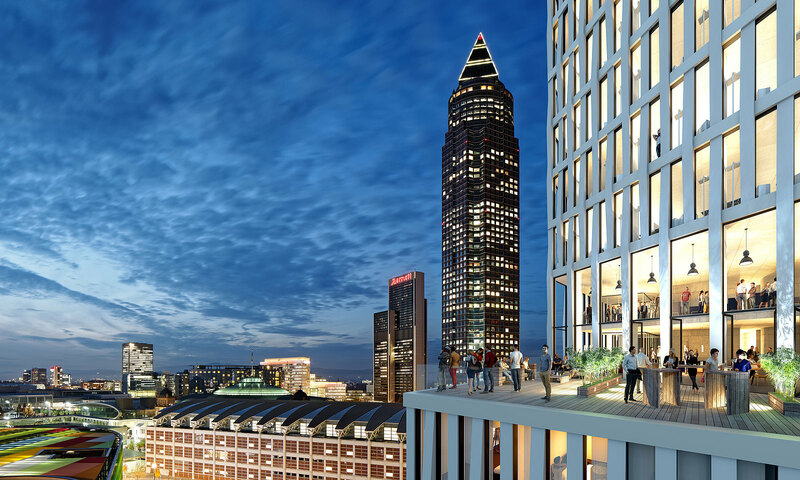 ONE joins the famous skyline of the financial district and impresses with its unusual architecture designed by the young Frankfurt architect’s firm Meurer Generalplaner GmbH. ONE has been designed as New Work building, combining not only different types of use, but also offering all the possibilities of networked working and communication, with numerous informal meeting places and working locations. 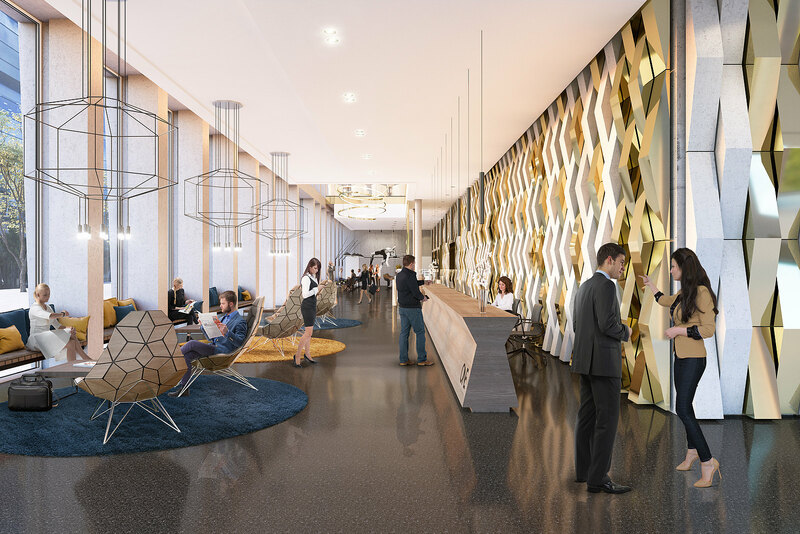 A spacious lobby shared by office users and the hotel occupies the entire ground floor and is the urbane centre of the building. 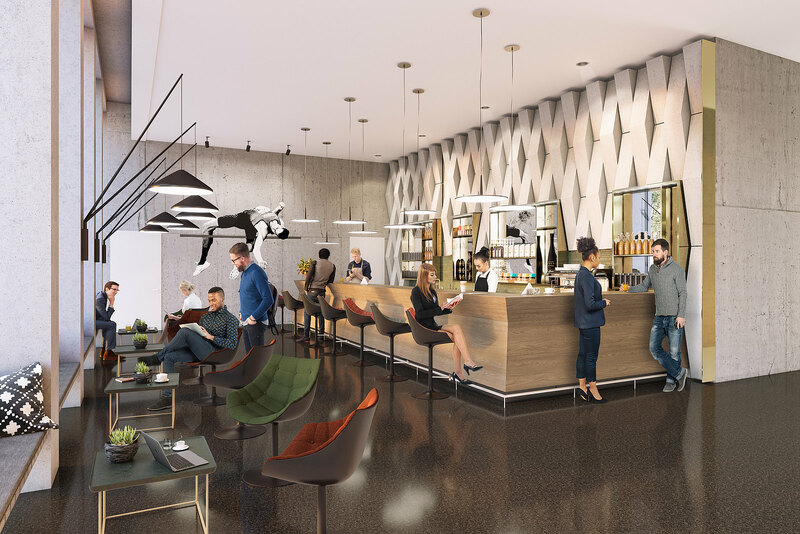 In addition to the office reception and hotel check-in area, there are attractive public relaxation areas like lounges and a café. 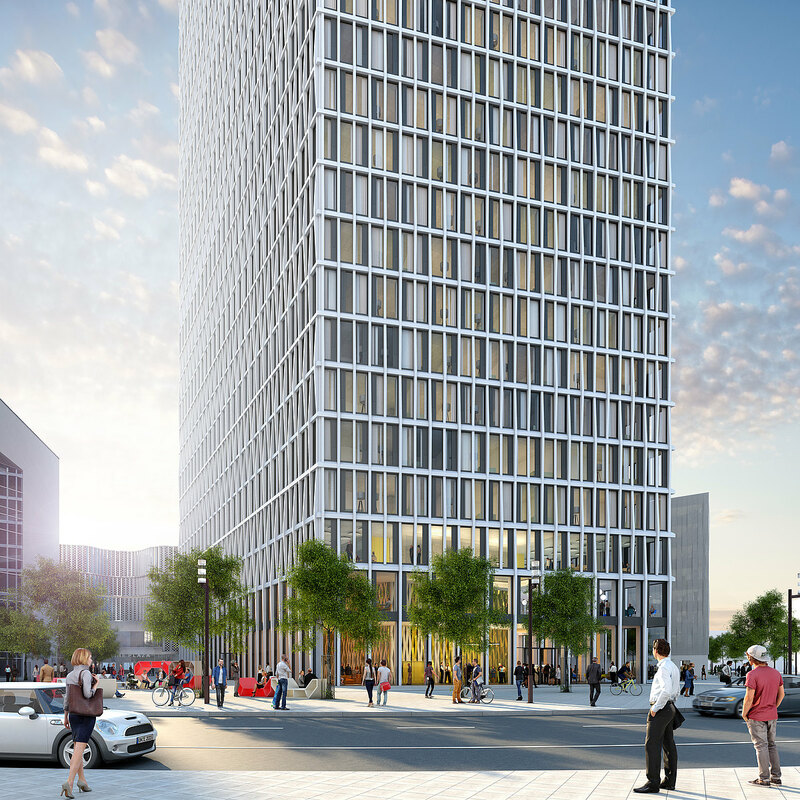 The hotel itself will be an international design hotel, the first of its kind in Frankfurt. It is to accommodate 375 rooms. On the upper floors of ONE modern office space is currently being constructed, with structures focused on the New Work era. Flexible office spaces and shared spaces can be adapted to the needs of tenants. ONE also offers all possibilities of smart, modern and technical infrastructure in the digital age. The 15th and 16th floors house a separate area for conference and co-working spaces. These can be rented by users of ONE on flexible and temporary terms. Mobility on site is ensured through additional services such as car & bicycle sharing, coupled with ample parking spaces and areas for securing high-quality bicycles. 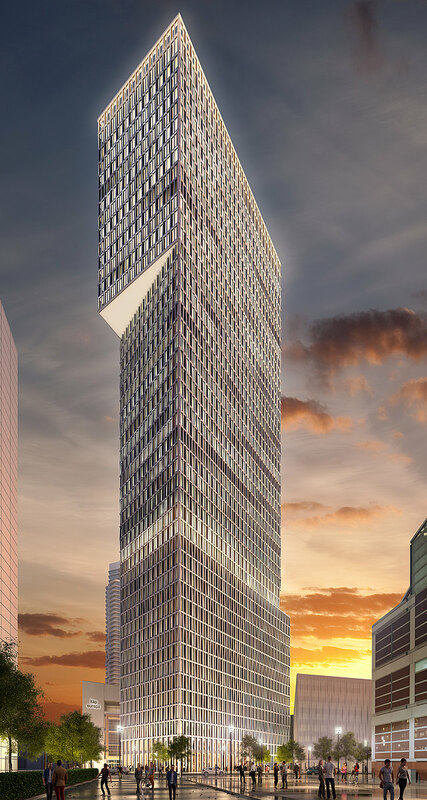 As early as the beginning of 2018, ONE became the first high-rise in Germany to receive a WiredScore Platinum certification. This attests to ONE’s conformity with the highest standards for connectivity, digital infrastructure and future-proofing. ONE is also ahead in terms of sustainability: the building aims to obtain a DGNB Platinum certification. At the junction of the banking district, trade fair and Europaviertel.